Okay, so I am fairly new to the RC world and have to say I love everything about Flite Test. I have already built the FT Tiny Trainer, and am getting ready to build the FT Mini Mustang and Spitfire. I live in Michigan and have to deal with wet conditions for at least 3/4 of the year so I was looking for ways to increase the longevity of DTFB especially against water/moisture. I have seen some posts on here about people talking about the use of CampDry spray waterproofing. 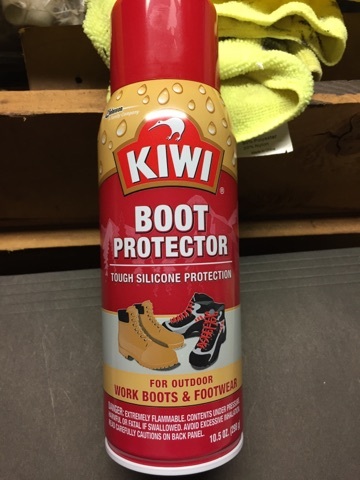 I own CampDry and my wife just picked up a can of Kiwi Outdoor Work Boot & Shoe spray waterproofing and have done some tests. So far every piece of DTFB that I have sprayed it on has attained a waterproof surface with no separation of the paper from the foam core. The great thing about doing this is that it does not add any perceptible weight to the planes. For most of you this may be an issue since you want to add a color scheme/paint job to your plane and this will cause a problem, and you may not want just a white or black plane (as I have found that those are the two colors that the Dollar Tree carries in their stores) you could always check to see if your local Dollar Store can order cases of different colors of the Redi board for you. 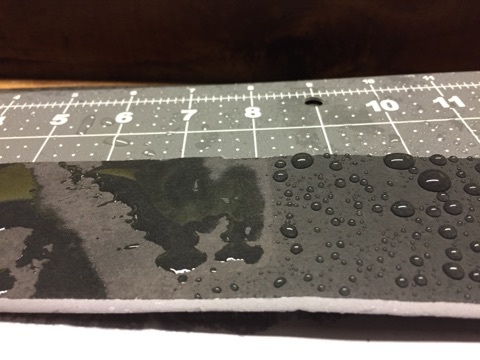 If they won't you can always use the paper that you remove from other pieces of foam board and color those and then use spray adhesive to develop you color scheme/patterns, or you could use markers to make your patterns and then use the spray waterproofing. I just wanted to share this with everyone. I have uploaded some pics. 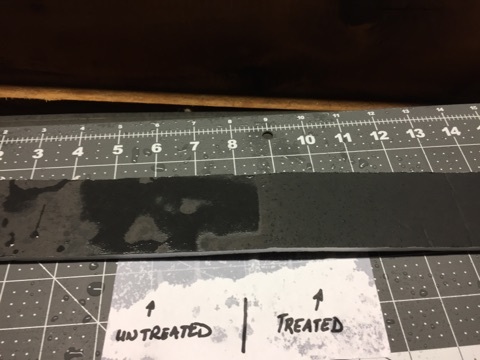 One of the waterproofer that I used, one of the piece of DTFB that I treated the right half of, and then sprayed with water. I also included a pic of the FB that I shook the water off. I figured that this might be something you guys would want to take a look at and maybe share this with everyone. A word of warning. I had built a plane and then sprayed it with the camp dry. Left it overnight to dry to find it in pieces with the hot glue dissolved anywhere it came in contact with the camp dry. 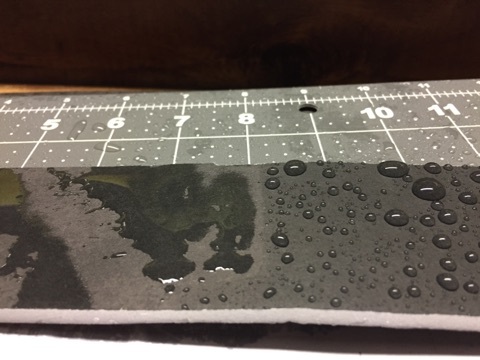 Make sure you check out the impact of the kiwi product on hot glue. Campdry is made by Kiwi. I double checked the MSDS sheets for this product and the Campdry and they have very different chemical compositions. So far the test pieces that I made are still holding together, even where I sprayed right over the hot glue. Good to know of this option. The camp dry effect was overnight when I noticed it but probably much faster. If yours is still good then it should be fine.